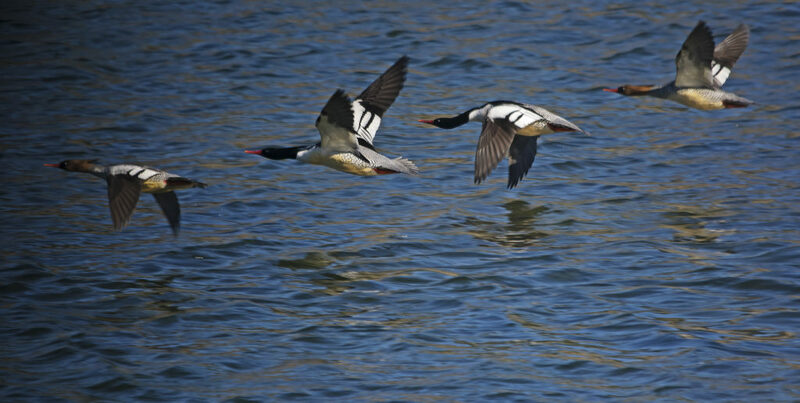 Scaly-sided Mergansers, great views of Taiga and Tundra Bean Geese, Relict Gull and White-naped Cranes were among the highlights of this Anatidae-focused visit to the North River (4th), Guryongpo (5th), Junam (6th), Suncheon Bay (7th) and the Geum Estuary (8th). 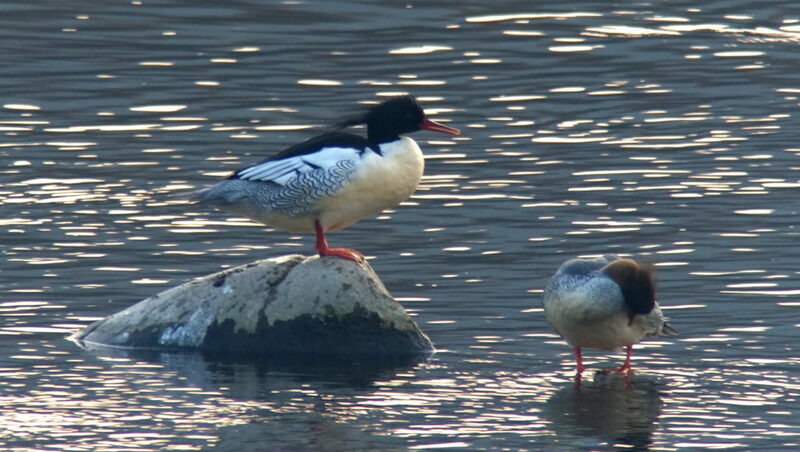 On the 4th, at least 16 Scaly-sided Merganser, two Baikal Teal, 15+ Falcated Duck and either an extreme-end Common Pochard or more likely a hybrid Common Pochard x Canvasback were the highlights at the North River. Odd Pochard-type © Nial Moores. 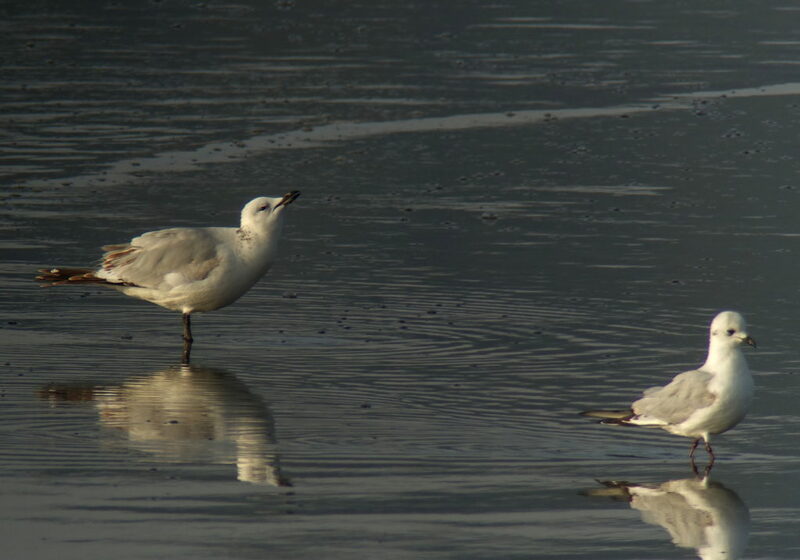 This individual looked extremely long-billed in the field, with an all dark bill, long sloping forehead and occasionally a very long-looking neck. 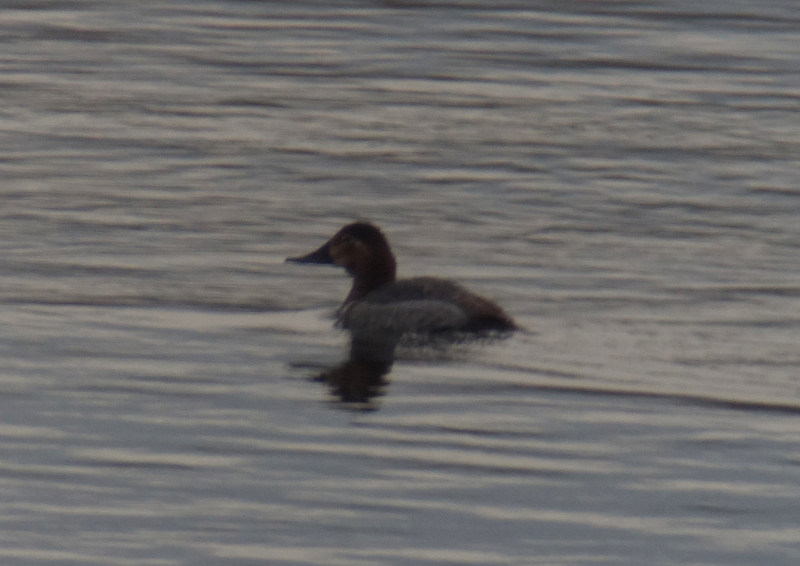 Appearing slightly larger (perhaps) than Common Pochard, this individual nonetheless had the stripey face pattern typical of Common Pochard and was fairly dark-backed. 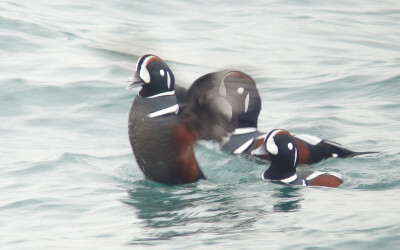 On the 5th on the Guryongpo Peninsula, we found only small numbers (c. 40 in total) of Ancient Murrelet but in wonderful light enjoyed prolonged views of a total of 25 Harlequin Duck, five Brant Goose, eight Horned Grebe and a massive total of 830 Black-necked Grebe. 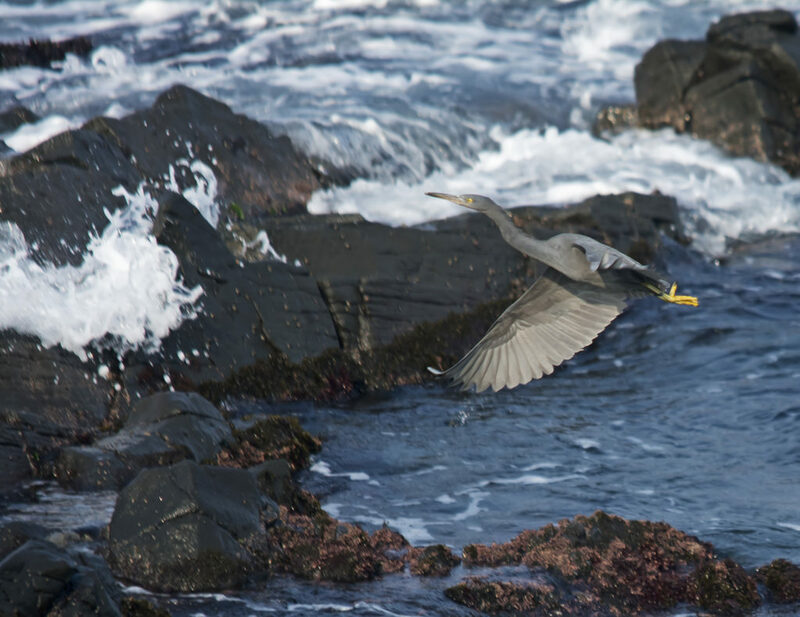 Also present there were 12 Light-vented Bulbul, a flock of 92 Far Eastern Lark and an oddly pale Pacific Reef Egret (pale grey with some white speckling and strikingly pale underwings). On the 6th at Junam in amazingly calm and clear weather, highlights were 51 White-naped Crane and 22 Cinereous Vulture, 140 Far Eastern Lark, 25+ Falcated Duck, 1500 Taiga Bean Goose, including one leucistic bird (and at least one Tundra Bean!) 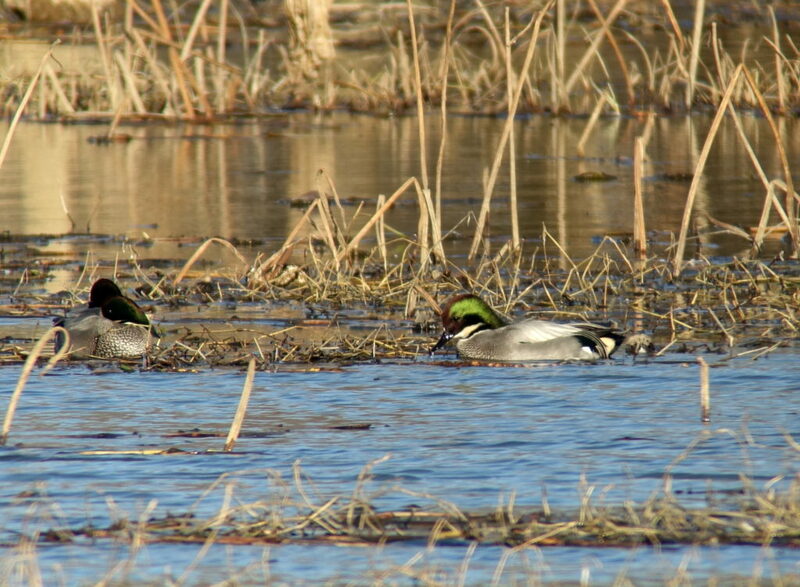 and 800-1000 Greater Whitefronteds, showing much variation in size, bill shape, bill colour and plumage tones. 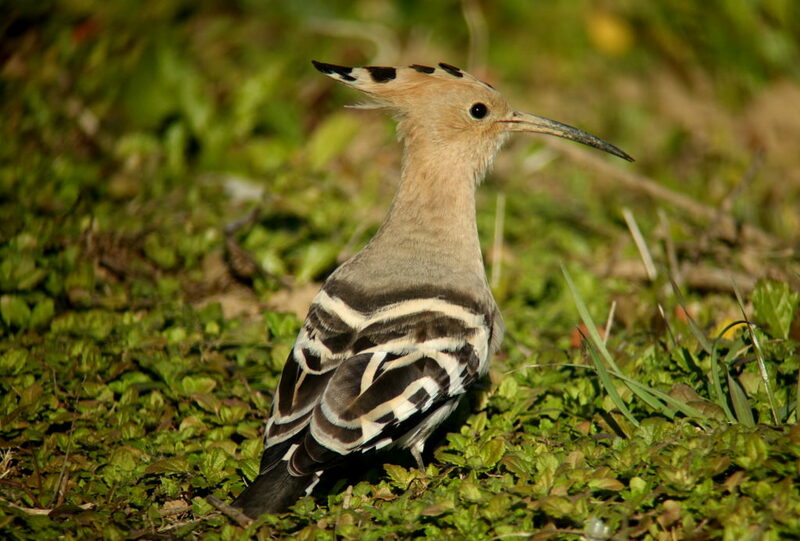 Also there were 2+ Dusky Thrush and one extremely confiding Eurasian Hoopoe. 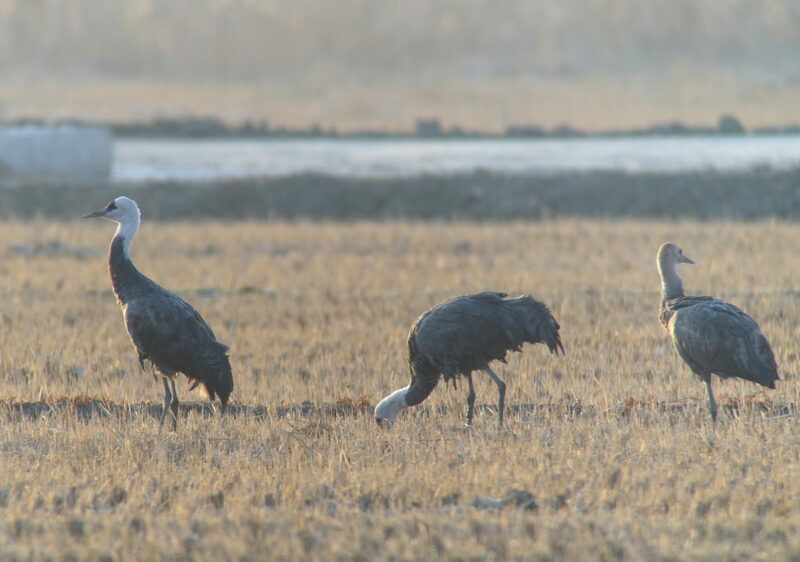 On the 7th at Suncheon Bay, we counted 738 Hooded Crane, glimpsed one presumed Sandhill Crane (NM only) but failed to relocate the three seen there the week before reported by Arthur Blakemore. 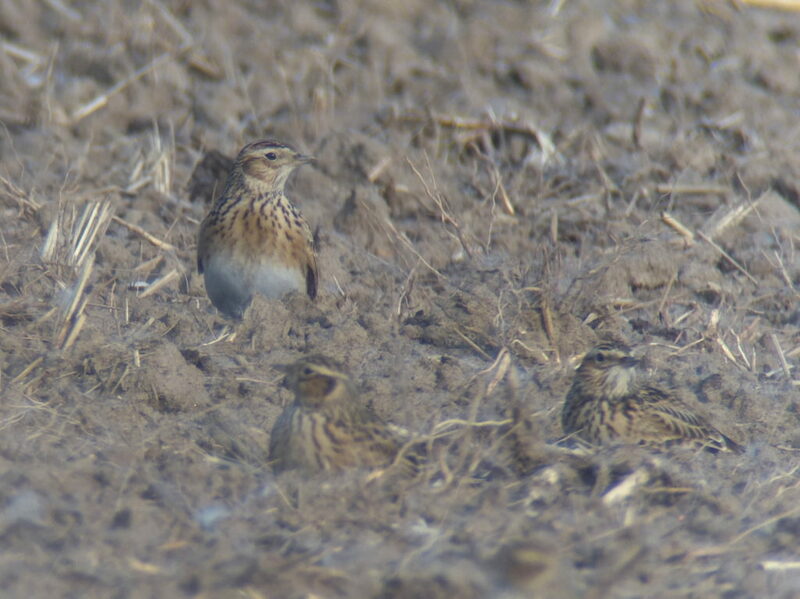 We also saw single Rough-legged Buzzard and Hen Harrier and enjoyed prolonged close-up looks at 2+ Little and 15+ Pallas’s Reed Buntings. 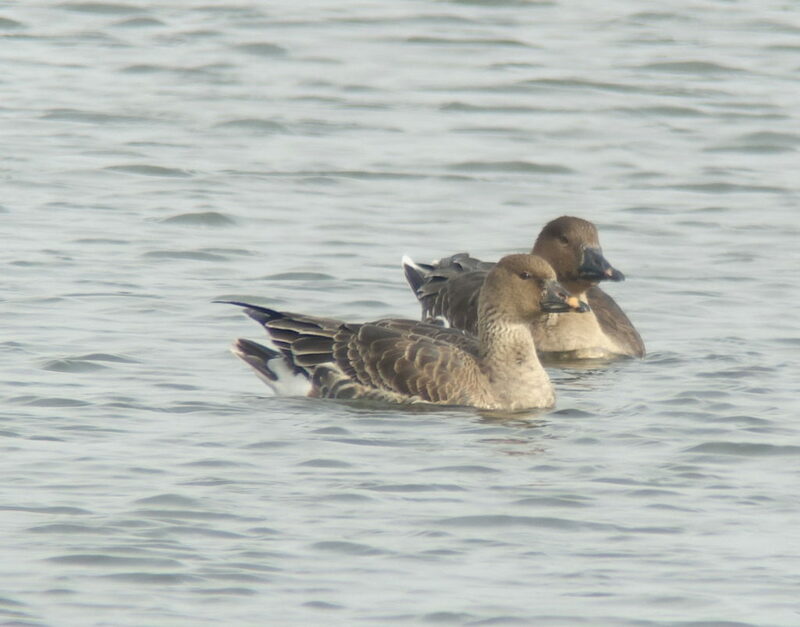 In the afternoon, we then headed up to the west coast in search of Baikal Teal, but found only seven on one of their favoured reservoirs (apparently, photographers recently reported 300,000 in Haenam and 100,000 in Naju). Pallas’s Reed Bunting Emberiza pallasi © Nial Moores. 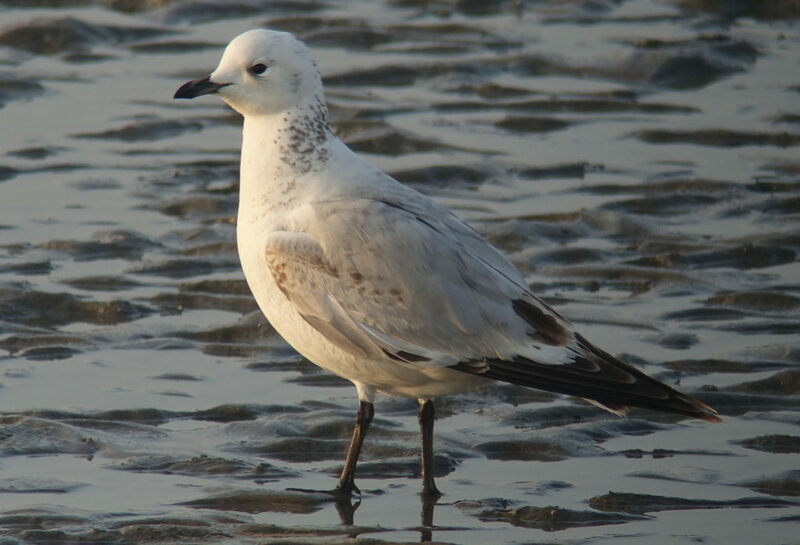 An especially buffy-looking, pale-legged bird, with strong facial pattern. 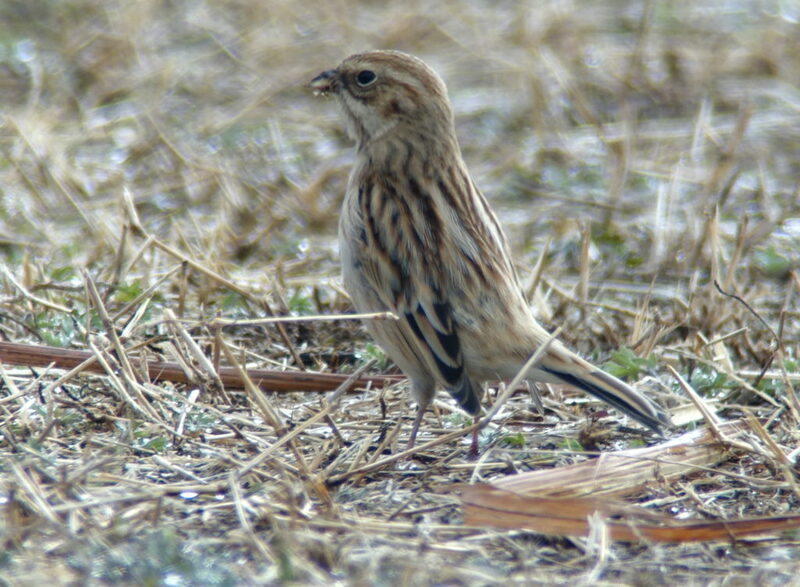 Again, how to separate the apparently distinctive southern-breeding lydiae (aka Mongolian Reed Bunting) from northern-breeding polaris? On the 8th, again in wonderfully calm and unseasonably mild weather, we spent the day in and around the Geum Estuary. 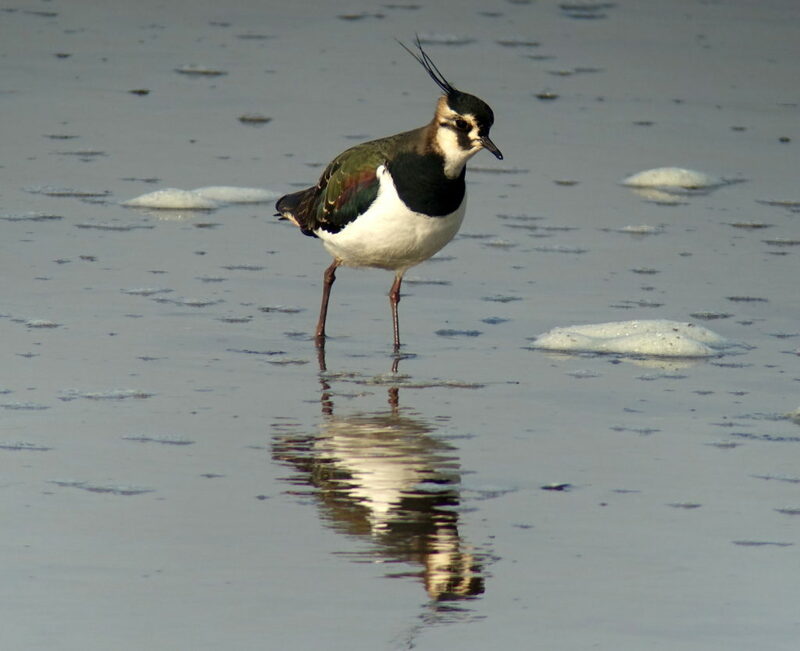 Highlights included stunning views of one First-winter Relict Gull and several dozen Saunders’s Gulls sharing the tidal-flat with several large flocks of Eurasian Curlew and one group of 420 Far Eastern Oystercatcher, along with a couple dozen Northern Lapwing. Regrettably, there was no sign of what used to be the regular wintering flock of Swan Goose – no doubt disturbed by yet more poorly-advised construction along the shoreline of this part Ramsar-site. 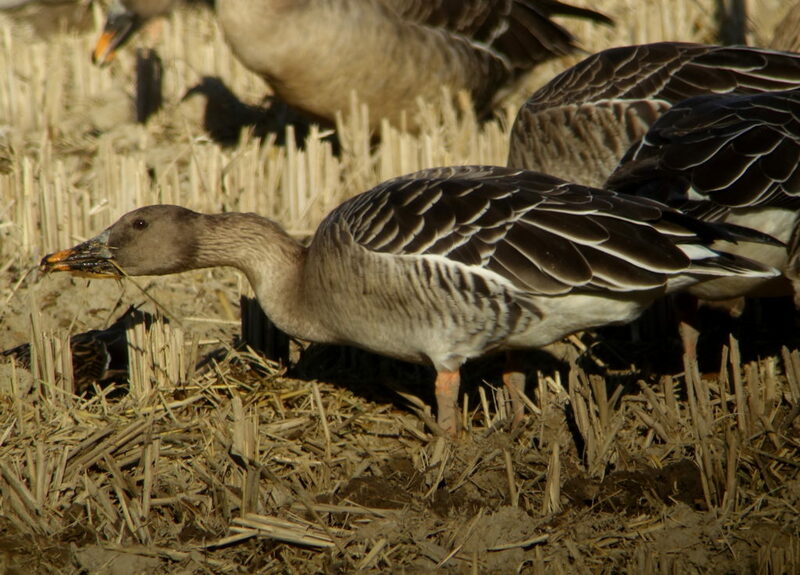 Instead we enjoyed close views of c. 3,500 Greater White-fronted and 400+ Tundra Bean Geese. Considering the date, rarest in the Korean context was three Pallas’s Leaf Warblers in one area of woodland. 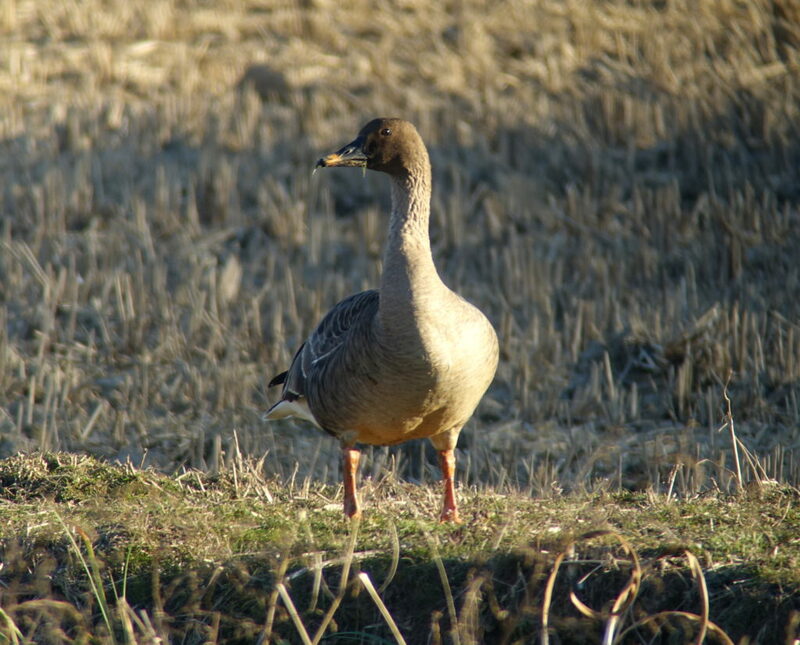 Tundra Bean Goose Anser serrirostris © Nial Moores (although posture is always important to consider when separating these two taxa, compare the bill shape, squat “face” and thicker looking neck of these birds compared to the more massive and almost swan-like Taiga Beans above).